This will be the only April Fool’s Day event transpiring that doesn’t involve someone jumping out at people, unless Kevin Seconds gets some smart ideas. 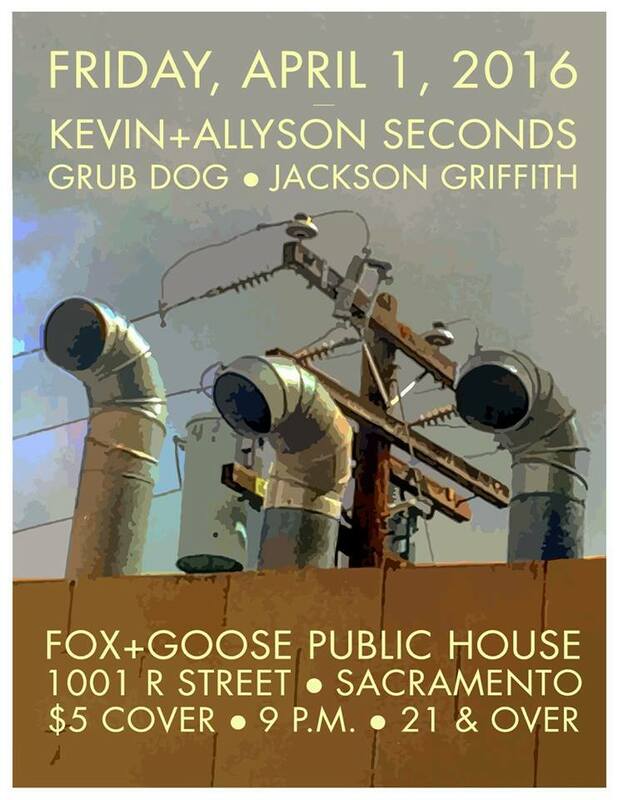 On Friday, April 1, starting at 9 PM, Kevin and Allyson Seconds, Grub Dog, and Jackson Griffith will be playing an April Fool’s Day show at The Fox and Goose (1001 R St). 21+ only, $5 cover. Find info here. 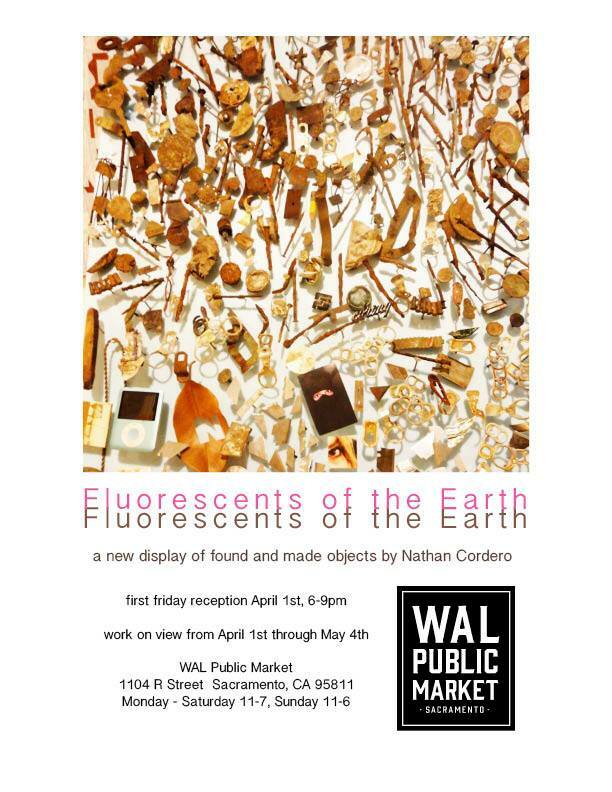 On Friday, April 1, going from 6 PM to 9 PM, the WAL Public Market (1104 R St) and local artist Nathan Cordero present the Fluorescents of the Earth Exhibit. Cordero’s inspiration has resulted from years of metal detecting, and in this showcase, he has put together various objects he’s found and reimagined their uses. Learn more here. On Saturday, April 2, starting at 5 PM, come experience the love that is local rock music. 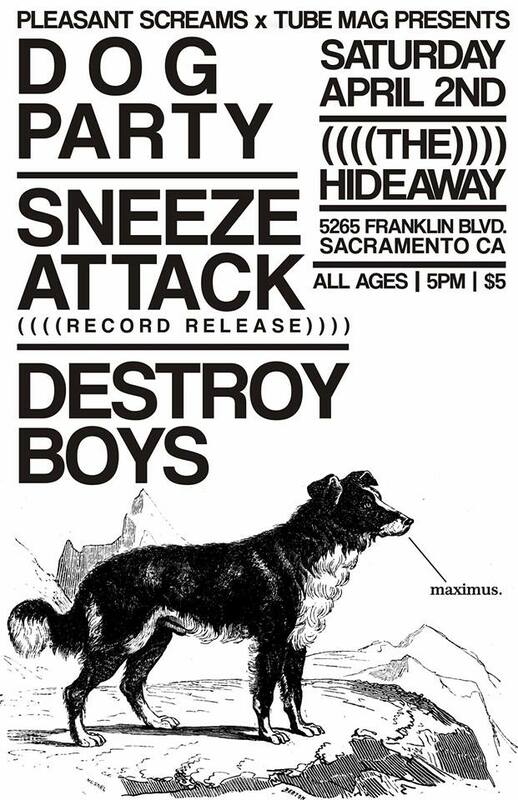 At The Hideaway (2565 Franklin Blvd), Sacramento sweethearts Dog Party are playing with Sneeze Attack and Destroy Boys! Fun music, cool girl musicians, and good food from the Hideaway. $5 cover. Find more here. On Saturday, April 2, going from 6 PM to 11 PM, the Panama Art Factory (4421 24th St) is holding a Work of Body art exhibit. This is a one night only exhibit that showcases over 30 different artists, all exhibiting the way each artist think of and work with the human body. There will be several mediums, including photography, painting, performance, and more. More here. Tyler’s finally back in Sactown! On Wednesday, April 6, at 7 PM, Tyler the Creator will be playing a set at Ace of Spades on his April tour. He’s a funny guy with great music, and endearingly vulgar tendencies. Buy tickets and find information here. Tags: Ace of Spades, April Fool’s Day, Art, Destroy Boys, Dog Party, Fluorescents of the Earth, fox and goose, Grub Dog, Jackson Griffith, Kevin and Allyson Seconds, Music, Nathan Cordero, painting, Panama Art Factory, performance, photography, Sacramento, shows, Sneeze Attack, the Creator, The Hideaway, the list, things to do, tube magazine, Tyler, Vi Mayugba, WAL Public Market, Work of Body Art. Bookmark the permalink. Previous post ← Listen: Radiation, Electricity, and Pills, Oh My!